Deciding to purchase life insurance to protect your family is the best decision that you can make, but it can get complicated when it comes to answering the question, how much life insurance do I need? There are several ways to figure out the range of life insurance quotes you should be considering based on your specific life situation that can make choosing coverage easy. Today I will discuss how to determine the amount of life insurance you need to protect your family, the average amounts of coverage people choose and how to find the best life insurance quotes once you determine how much life insurance you need. 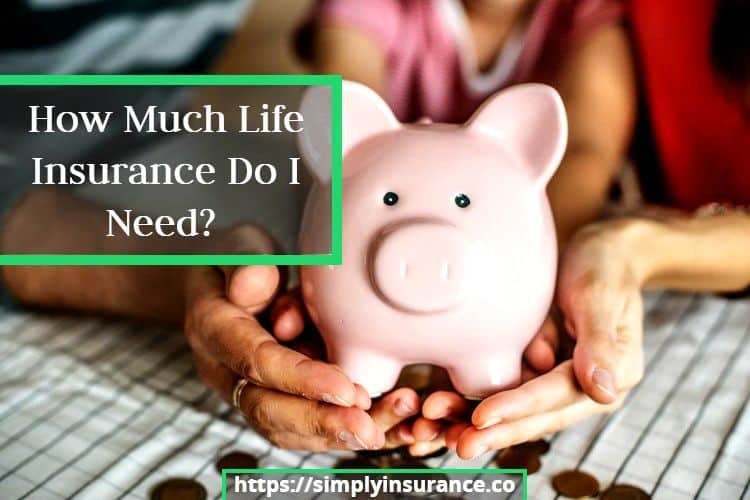 I think the best way to help you figure out how much life insurance you need is to give you an example throughout this post of how it would look trying to figure out how much life coverage you need. Now, if you don't know how term life insurance works then read our guide on that first. For this example we will go with Reshawn & Dustin, Reshwan makes $75,000 per year, and Dustin is a stay at home husband. 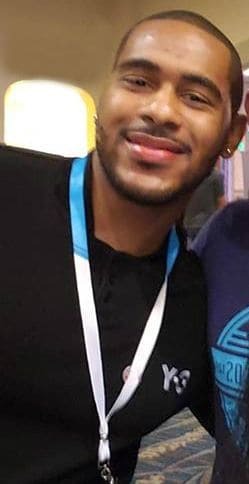 Reshawn finished school without any student loans; however, they were still paying down Dustin’s $50,000 in student loans. They have a 30 year 350,000 mortgage on their home, three kids ages 2, 4 and 6 who they are planning to send to college, 2 cars, and around $60,000 in total credit card debt. Right now, Reshawn & Dustin are responsible for over $460,000 in expenses, and that’s not including the cost of college for their kids which will probably come out to around $100,000 for each of them. This means that if Reshawn were to pass away, it would leave over $760,000 in expenses that would still need to be taken into consideration. CLICK HERE FOR YOUR FREE TERM LIFE INSURANCE QUOTE! Following the above example, go ahead and figure out what your total income is and what your current and future expenses could be. Now that we have the full picture lets look at each individual part of the equation to figure out how much coverage you should purchase. Most advisors recommend purchasing 10 times your income; however, I always recommend buying at least 20 times your annual salary if you can afford it. If we go with the lower amount and Reshawn started with 10 times her annual income, her starting coverage amount would be $750,000. On the surface, this amount seems like more than enough coverage to cover her family if she was to pass away, but in all honesty, it isn’t going to be enough to cover everything. At best, the coverage gives their family 10 years to survive before they run out of money and if they paid off their home at $350,000 it would only leave $400,000 of cash left which would just be about 5 more years of living expenses. If we take into account the above expenses for Reshawn and Dustin, their total expenses are somewhere around $785,000 if you include food and other annual expenses. If we look at our total expenses of 785,000, it would mean that a $750,000 policy would only be enough to pay down most of the expenses but leave nothing to continue the family in a forward moving direction financially. At this point, you want to add half of your expenses to the amount of coverage you should purchase. $785,000 / 2 = $392,500 and I would just round that up to $400,000 in coverage. This is going to be the toughest area to account for since our plans won’t always work out the way we expect them to work. The most significant and most important future expense I can think of is money to cover your kid's college or to cover their daycare expenses. This is also a good time to think about generational wealth and what you want your legacy to be. . According to Travis Hornsby of Student Loan Planner, Americans owe at least $2 Trillion in student loans. This means that student loans will continue to be a significant debt and expense for future generations to come and I think it is a smart Idea to add an additional $100,000 in coverage for each child that you have. Based on the Above assessment, Reshawn will be looking at about $1,500,000 in coverage and Dustin should be looking at around $750,000 in life insurance for himself which is half of Reshawn’s coverage amount. Also, since he is a stay at home spouse, Dustin will find that insurance companies will only issue life insurance coverage based on a percentage of the amount of coverage Reshawn already has. It’s easy to think that only the breadwinner in the home will need life insurance; however, when a death happens in a family it can affect your income and your mental health. It is an excellent idea for everyone to have an adequate amount of coverage. Now that we know how to figure out the amount of life insurance you need it's always best to check out a few term life insurance rates by age. Now, let’s discuss how long your life insurance should last. CLICK HERE FOR YOUR INSTANT TERM LIFE INSURANCE QUOTE! This option is a new entrant into the world of life insurance. A two year term option is excellent for anyone that needs life insurance but isn’t ready to commit to long term coverage. This option is affordable; however, it isn’t always the most affordable so be sure to compare it to other term length options before deciding on this option. The five year term option would be best for someone who has a limited budget but still wants to have life insurance. It is also an excellent option for parents who take out loans for your kid's student loans, it will cover them during the duration of their 4 years at a school. A 5 year term is usually one of the most affordable life insurance options. The 10 year term option is excellent for people who will be in a better financial situation within that time period and have a substantial amount of income to the point where life insurance may no longer be needed. I have found that most of my customers in their early 20’s choose this option because of its great price and honestly most of them aren’t thinking past the next 30 minute’s let alone the next 10 years. At the 15 year term option we are in the middle range of pricing as well as the middle of the road as far as life situations. Your kids will probably be 15 years older if you have any and your debts have been decreased by 15 years if you have been paying them. This option is great for someone with a growing family. The 20 year term option from my experience is going to be the best of both worlds when it comes to both monthly premium and length of coverage. If you have children most of them will be either going into being 18 years old or young adulthood. Your car loans will definitely be paid off by then, and you would only have 10 years left to pay off your mortgage if you have one. There is a pretty substantial jump in monthly premium going from a 20 year term to a 30 year term, so this policy is always the best choice if you don’t know which one to choose. The 30 year term option is the most expensive option when it comes to life insurance. It is going to give you the most extended length of coverage, and over time it will also give you the most savings because your rate will be locked in for 30 years. In 30 years your mortgage should be paid off, your kids should be well into their careers and out of the home, and your overall expenses should be much lower. Your need for a significant amount of life insurance probably won’t be the same. Now that you know how to calculate how much life insurance you need and what the best term length option will be for your specific situation, it's time to get some life insurance quotes. You should also check out our review for Haven Life. Haven Life has some of the lowest life insurance rates and offers up to $3 Million in life insurance coverage. They are a great option if you want to get life insurance online and prefer to not deal with an agent. Hopefully answering the question how much life insurance do I need should be much easier now. With the process of purchasing life insurance being so much easier today, there is no reason to wait on getting coverage, and now that you know the formula you can buy the correct amount. CLICK HERE TO GET LIGHTNING FAST LIFE INSURANCE!